In This article, we discus one of the causes of amalgam restoration failure which is recurrent caries, we will define it, etiology, understand its clinical picture, its complications and best methods to treat it. 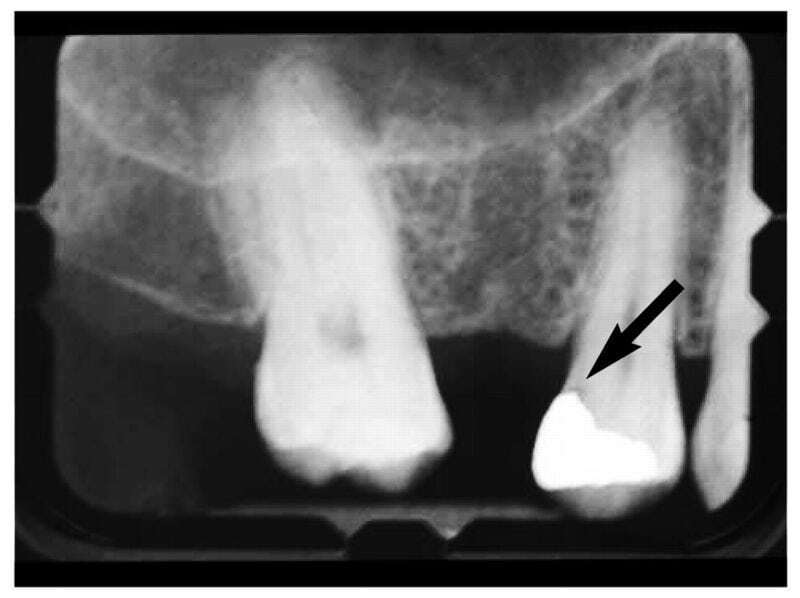 Caries developed in a previously restored tooth. Incomplete elimination of the original lesion. Retention and colonization of bacterial plaque. Improper evaluation of the case for indirect pulp capping. Leaving defective and retentive pits and fissure. Incomplete freeing of the contact. Margins of the cavity will not be placed in self-cleansable areas. Leaving undermined enamel. Lack of adaptation due to: Marginal leakage, ineffective condensation, moisture contamination and the use of dry amalgam mix. Failure to restore anatomy, contact and contour leading to food collection and recurrent caries. Improper finishing of restoration: Due to over hanging margins and rough pitted amalgam surface. Remaining retentive pits and fissures. Presence of cracks or fracture, e.g. Marginal ditching or isthmus fracture. Caries extension: Under the restoration at the cavity floor. Caries invitation: At margins which are defective. Conservative treatment of susceptible pits and fissures by enameloplasty, cavity walls slanting or sealing with GIC or adhesive resin. Replacement of restoration, removal of caries, correction of cavity design and proper manipulation of new restoration. 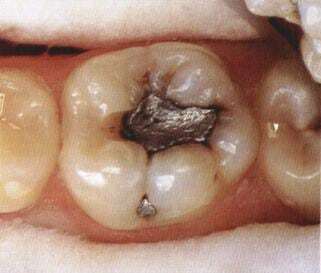 Marginal defects can be repaired with bonded amalgam or glass ionomer cermet cement.